Welcome! My name is Sea. If you have had your fill of the young ones and are ready to try the experience of a mature, horny hottie, you came to the right place! My plan is to make your heart skip a beat the moment you see me and you will think you are in heaven. I have all the attributes to make your dream encounter possible. I have been described as hot, racy and exotic just what you have always been looking for and now you have found me. I work out regularly in the gym and my tiny tight body is waiting for you! I am 40 years old and from Thailand. I am 160 cm tall and only 50 Kg with natural B cup perky breasts. 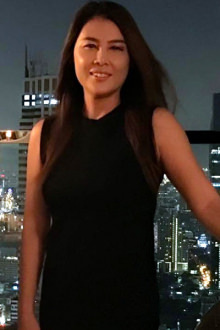 I have good speaking and understanding of English, I dress well and my charming personality makes me the perfect girl to go out for dinner with. Once you are alone with me the choice is yours, I am willing to try new things and hope that you will show me a few things I might have been missing. Hoping to find some men that appreciate a physically fit and nurturing woman. I am also very good at full body massage. I am sure to please you, you will not be disappointed!